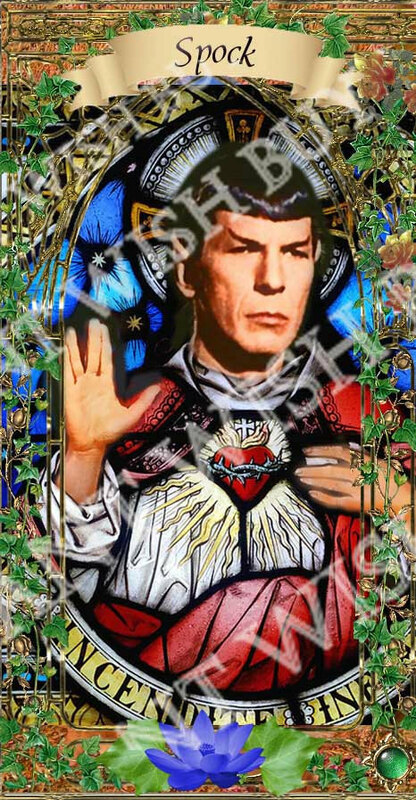 Star Trek's Spock - Leonard Nimoy - Celebrity Saint Prayer Candles with Church Window frame - You get 1 - 8" tall white unscented candle in a glass container. Makes a great gift for a fan! Also have a cast of 3 and 4 Star Trek characters (Spock, McCoy and Capt. 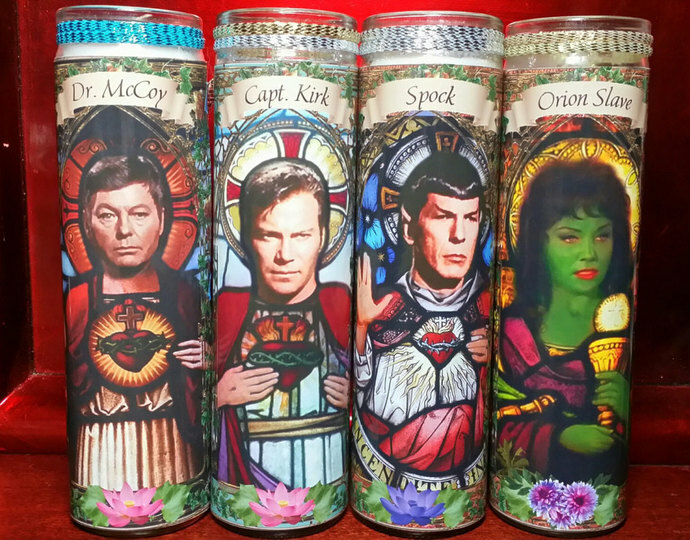 Kirk in a set of 3) AND (Spock, McCoy , Orion Slave Girl (Susan Oliver) and Capt. 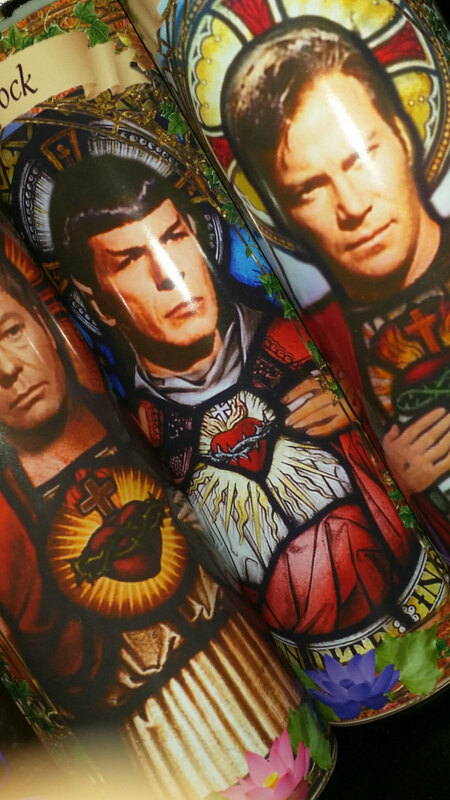 Kirk in a set of 4 - pictured for convenience). 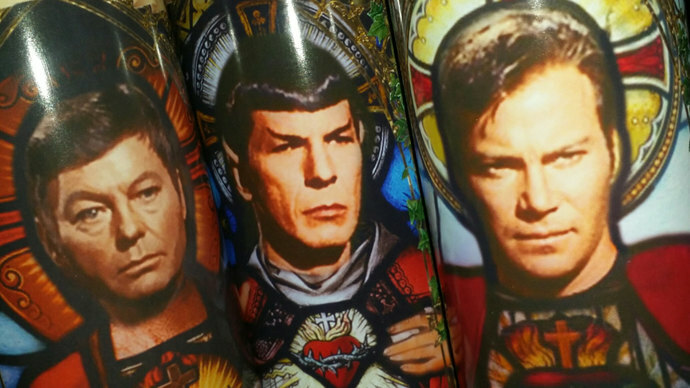 Also have Dr. McCoy, Capt. Kirk and Orion Slave girl in separate listings. 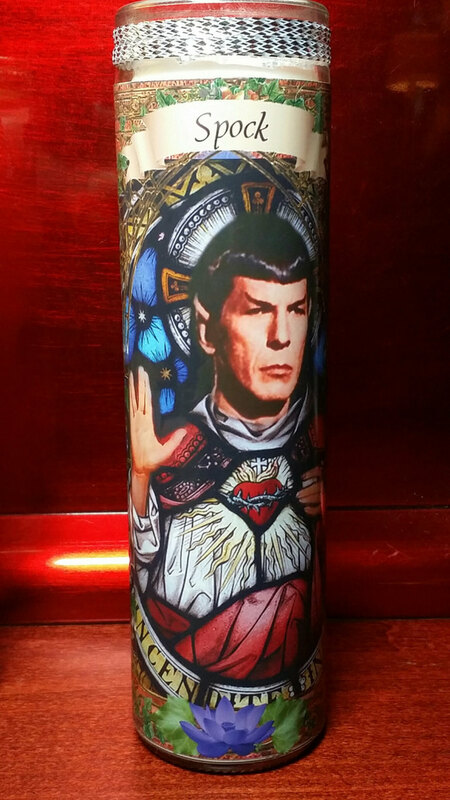 These candles are also available in the larger Tropical print. You can choose how you want them titled - see STYLE.